This is our home. Come stay awhile. Kamloops is located in the British Columbia Interior. You can get here easily from Vancouver - via a scenic 3.5-hour freeway drive through valleys, mountains, and grasslands - or a direct 50-minute flight from YVR. Depending on the time of year you're in Kamloops, you can experience any one of our four distinct seasons. The spring months (March-May) feature steadily-rising daytime temperatures, cool evenings, and a little bit of rain or lingering snow. Summer months (June-August) here are hot and dry - with daytime highs capable of reaching 40ºC at the height of the season. Fall (September-November) sees a slow cooling of temperatures, a return of some rain - and even some snow at the higher elevations. Winter (December-February) is the coolest season - complete with snow, but daily mean temperatures are barely below zero degrees Celsius. 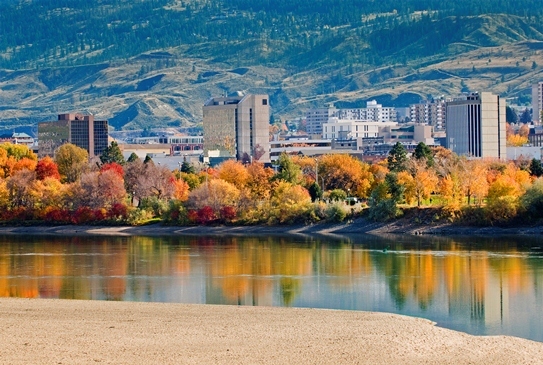 This makes Kamloops a desirable year-round destination - and home to over 90-thousand people. Different seasons also bring different recreational opportunities. From skiing and snowboarding in the winter, to boating, mountain biking, and beach-going in the summer, along with many year-round pursuits, there is always something to do in your off-hours while in Kamloops.